Product developers face a continuous growing challenge to meet functional requirements as well as the demands of the manufacturing processes when designing new products. 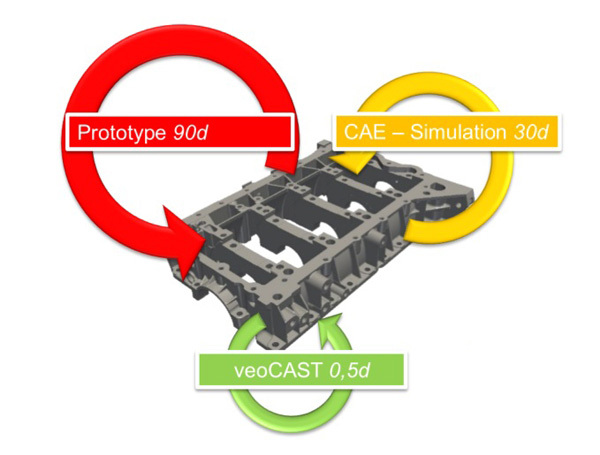 A cast prototype or CAE simulation offer support and further insights. But often product designers need their feedback faster! 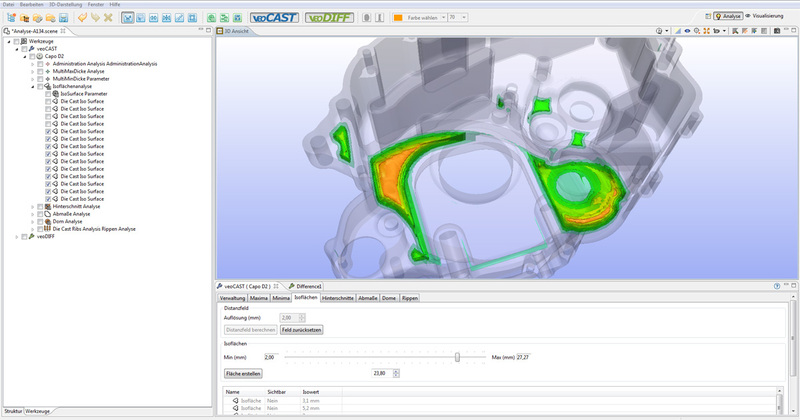 Using Teraport’s Design for Manufacturing workbench veoCAST, designers can quickly and easily analyze their parts and minimize the risk of multiple optimization cycles due to overlooked manufacturing process demands. Fueled by the demands of our customers we developed a tool to check if the requirements of die cast manufacturing are met. By quickly and easily analyzing the often complex requirements within the design departments, problems get recognized earlier and thus optimizations are way more cost efficient. approach. Experience how you can improve your design process using Teraport’s Design for Manufacturing Workbench. Get a free evaluation license! So far by the generation of isosurfaces material congestions are identified within a part. By now projecting this congestions to the part surface one receives a colormap of the part thickness. A important fact is that other then with many comparable wall-thickness algorithms this color map is not dependant on the normal direction of the parts surfaces. Therefore the thickness profile contains way more valuable information (see screenshots).